NEW ORLEANS – The U.S. Track & Field and Cross Country Coaches Association (USTFCCCA) announced Thursday the state-by-state winners of its inaugural High School Cross Country Coach of the Year. 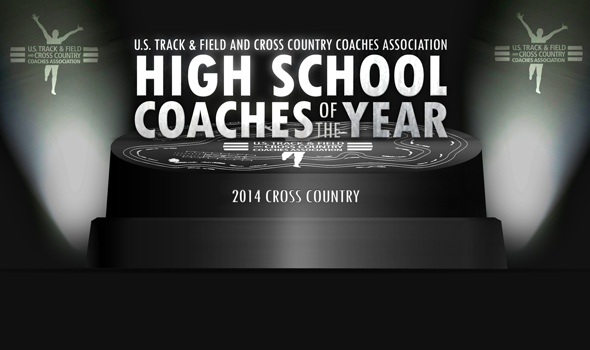 One boys coach and one girls coach from each of the 50 states – as seen in the lists below – were honored for their successes during the 2014 cross country season, as chosen by the USTFCCCA High School Coach of the Year selection committee. The winners from each state are in consideration for the association’s first-ever National High School Coach of the Year award for cross country. "High school coaches have a profound impact on young athletes’ lives," said USTFCCCA CEO Sam Seemes. "For so many runners, their high school cross country coach is the person who opened the world of running to them." "We’re excited to be able to recognize and reward those high school coaches for the successes of their teams this season," added Seemes. The national winners will be announced next week.